Afternoon Loverlies! 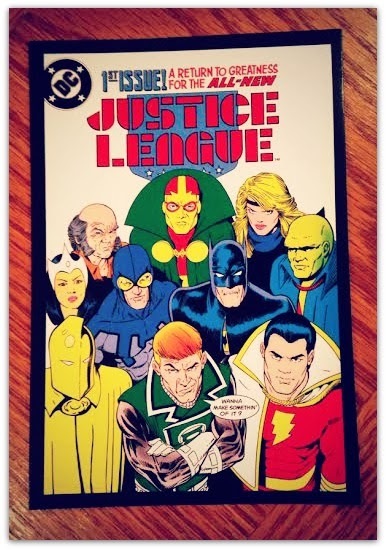 The other day I entered a giveaway on FictionTheNewReality's blog. So far this is the second entry I have won. The other win was on another blog i posted here. It was an awesome entry also!! She has been having some awesome entry's actually. Y'all should check them out! :) I'm so excited I won this book. 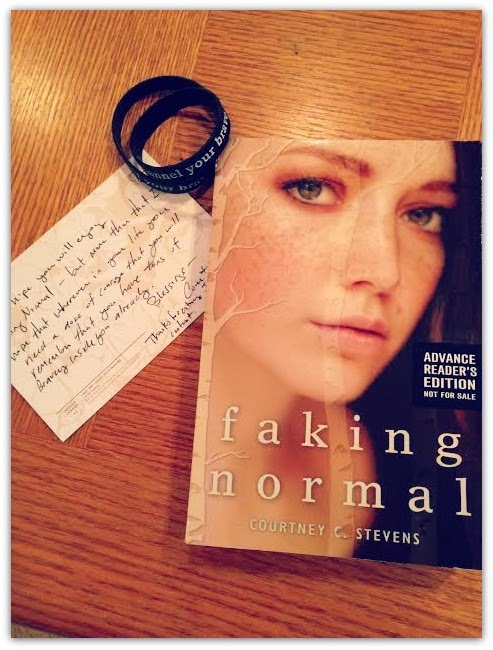 It is Faking Normal by Courtney C. Stevens. Along with winning I received an awesome postcard, the author personally wrote a message to me on. I also received two bracelets that have Channeling Brave written on them. I gave my second bracelet to my sister in law. I love it!! Now the rest will be a bit of a spoiler. Not to much though. ;) I Don't know how else to talk about the book though without giving a little bit of it away. This book was very easy to read. I believe it was very well written also. Alexi has a terrible secret that she feels she cannot share with anyone. Bodee also has something terrible that has happened to him. His not quite a secret. You start off with Bodee at his mothers funeral. Which is the worst, and sadly I have experienced this, a mother's funeral that is. Here is where Alexi first starts being there for him. Since the passing of his mother Alexi's mother decides its is best for Bodee to live in their home instead of staying with his brother Ben. Throughout the story you have Bodee and Alexi helping each other try to deal with what they each are going through. To help them slowly get rid of the harmful ways they have learned to cope with their sadness. It's a beautiful story, which reminds me of how important friends are to have in your life. Not only friends but God. You have them in your life to help you to "Channeling Brave". You will see this word in the book. I love these words Channeling Brave. It is nice to have that throughout your life to help remind you to keep strong. ;) I know I connected with these two characters. Not just because I have dealt with some traumatic issues in my life, but because it is so easy to get entranced in this book. I know it was for me at least. lol I suggest giving this book a try! I don't believe it will be a mistake if you did. Ta Ta For Now! That sounds like a really fabulous book! I'm definitely adding it to my reading list!